This review is about item#6704591. Burning is fast, the number of sharpening increases, and I do not recommend it for professionals who have many jobs in a hurry. This review is about item#6704661. This review is about item#6704582. It was good at a very reasonable price. However, it breaks more than expensive maker items I feel easy but I think that it is a consumable part, so it is enough. This review is about item#6627503. This review is about item#6627451. This review is about item#6705072. About 150 items were amazing, it was pretty good, after that it gently sharpened and the cutting ability recovered. I also want to use it next time. This review is about item#06704503. It was cheap due to stock disposal, so C / P was very high. This review is about item#06705054. Although it is an oversea item, there is no problem. This review is about item#06704546. This review is about item#06627607. We are chamfering through holes with a drilling machine. It is indeed comparable to domestic main manufacturer products. This review is about item#06627451. This review is about item#06704451. It is used for machine tools. There is a sense of cheaper than domestic products. This review is about item#06704695. 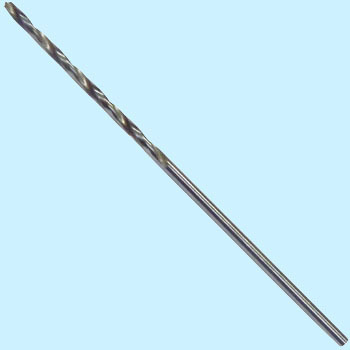 I usually use Saito twist drill and Utsunomiya drill, but life is less than half compared with those. Sharpness is also inferior. Sorry for a moment. This review is about item#06630863. I am useful because it is a low price. I think that cutting at 3.4 is a consumable item so even a lower price may be better. When it gets sharp a bit, it may break, so we are exchanging it immediately. This review is about item#06704564. This review is about item#06627591. It is too sharp because it is mainly drilling into brass material. This review is about item#06704406. It can be helpful to consider what is difficult to break. This review is about item#06704476. This review is about item#06704765.